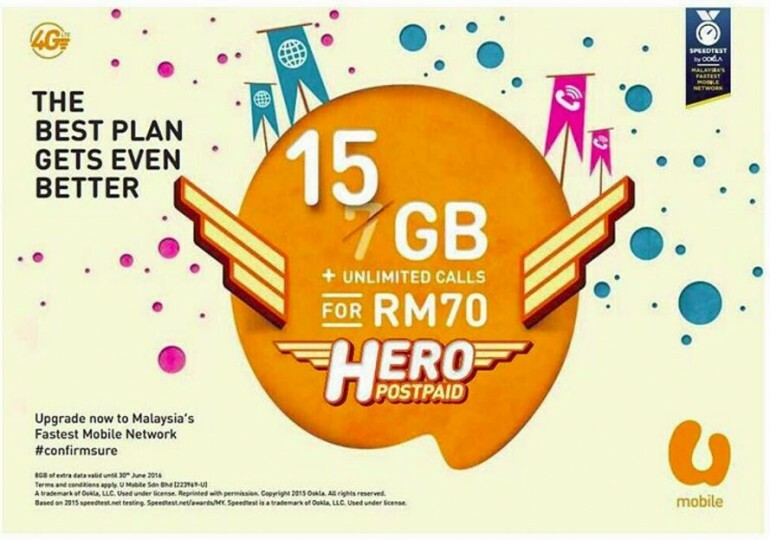 [UPDATE – 15/4/2016]: Previously, U Mobile unveiled a promotion for its Hero P70 plan by giving users an additional 8GB of data every month until the 30th of June. However, U Mobile has now extended the promotion till the end of the year (31/12/2016). That means all existing as well as new Hero P70 postpaid plan users will get a total of 15GB every month for the same monthly commitment fee of RM70. That being said, on the 1st of January 2017, the Hero P70 plan will be reverted to its original data quota of 7GB for RM70/month. 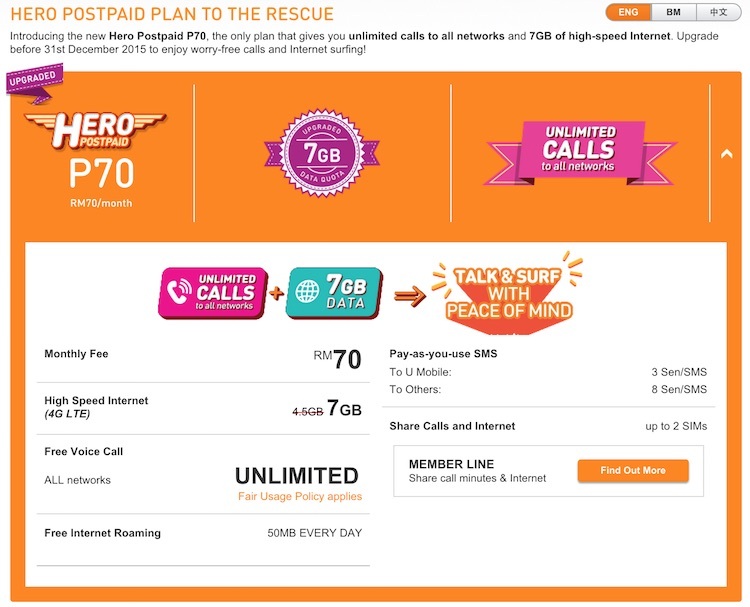 U Mobile has just made the Hero P70 plan even better than before. The local telco is offering to more than double the Internet quota to a whopping 15GB, while retaining the RM70 monthly commitment. Even better, this offer applies to existing U Mobile Hero P70 postpaid customers as well as new customers who subscribe to the Hero P70 plan. This promotion starts tomorrow, (15 March 2016) offering a total of 15GB of data – unheard of in Malaysia. The rest of the postpaid plan remains the same – that means you also get free unlimited voice calls to all networks in Malaysia. (Update @ 6:22pm) U Mobile confirms that new and existing subscribers will receive an additional 8GB of data per month until 30 June 2016. After that all plans will revert to the existing 7GB allocation. Regardless, this is yet another stunning move from U Mobile, and can be seen as a swift response to other competitors which has begun offering similarly generous postpaid offerings since the launch of the Hero P70 plan – even if the offer lasts for three months. New plan! New plan!? #UMOBILE #P70 Sign Up Now! #7GBGETEXTRA8GB Rm70 15GB data. #15GB & Unlimited Free Call To All Network ?